The nation's largest data set of consumer insights on pathways from education to employment. While there is no lack of data collected about postsecondary education, the consumer perspective is surprisingly absent. Yet in virtually every other industry, consumer research has ignited innovation, increased satisfaction and improved outcomes. The purpose of Strada-Gallup Education Consumer Insights is to listen to and empower the voice of the consumer to strengthen education to employment pathways for all Americans. Working with institutions, employers, students and government leaders, we believe the insights gathered from this partnership can shape the future of the postsecondary education experience and lead more Americans to realize their purpose and potential through meaningful careers and fulfilling lives. Be among the first to get the latest findings from our groundbreaking research, which captures first-of-their-kind insights from education consumers at every attainment level about their education paths and experiences. 51% of U.S. adults would change at least one aspect of their higher education. 83% of college attendees rate work-based sources of advice as most helpful, yet only 20% say they received advice from work-based sources. Only 34% of current college students feel prepared to enter the job market and just over half (53%) believe their major will lead to a good job. Be on the cutting edge of higher education developments with the complimentary Gallup Higher Education Insiders' Briefing newsletter. 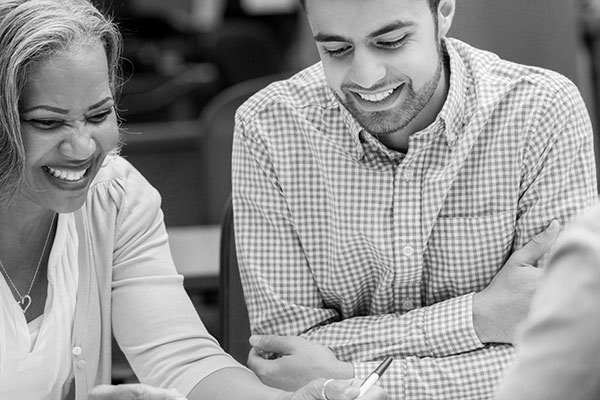 Our quarterly briefing provides tips and updates on Gallup's latest findings, insights and projects aimed at improving students' success in college and graduates' success in their careers. Get the latest news and updates from Strada and Gallup. For the 20 million Americans investing billions of dollars annually in postsecondary education, the Education Consumer Pulse provides relevant insights into what paid off for other adults with similar goals or backgrounds. Associate degree students with internships related to their studies are much more likely than those without such internships to have had a good job prospect immediately upon graduation. "Consumer insights, when used effectively, have proven to be the key to innovation and success in nearly every industry. It's time we listen to education consumers to drive the innovation needed in higher education." Subscribe to Get the Latest Strada-Gallup Education Consumer Insights. To be among the first to learn more about Gallup and Strada Education Network, please fill out the form below. Someone from either company will receive this information and may contact you via email or phone about your interest in this topic and other Gallup products and services.